The current economic system needs to be fundamentally transformed into a wellbeing economy which is aimed at achieving sustainable wellbeing. 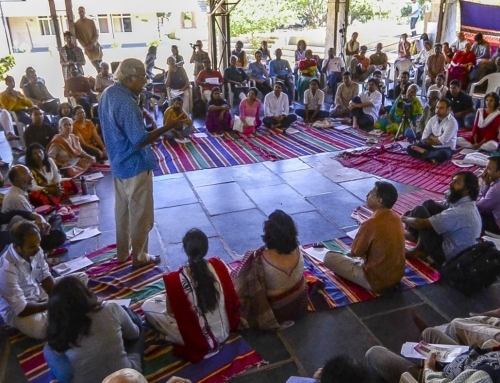 An economy that is embedded in society and the rest of nature; where institutions serve humanity and enhance our interconnectedness. 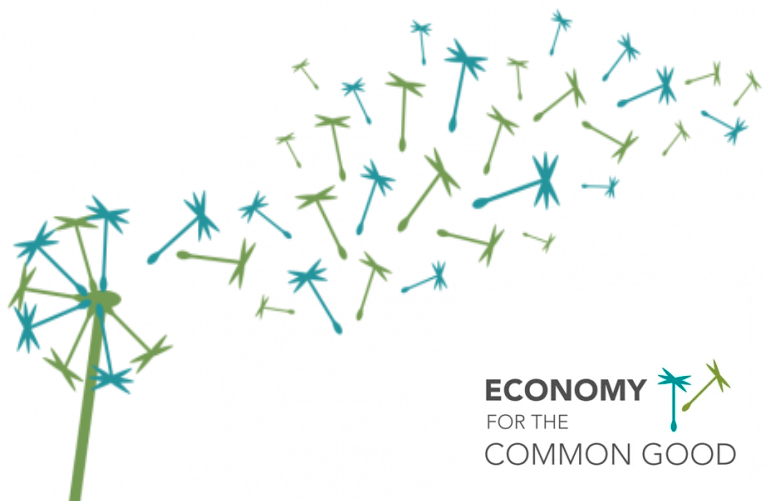 An economy with a new purpose: shared wellbeing on a healthy planet. This transformation is what a new organization, the Wellbeing Economies Alliance (WEAll), seeks to bring about, working with organizations from around the world to co-create a new economic system. Connect and convene seven meta movements from around the world: businesses; faith and values groups; academia and think thanks; civil society organisations; governments; practitioners such as cities which are implementing new economy initiatives at scale; and institutional innovators; and support their strategy, collaborations, dissemination and replication. Create a global citizens movement and support hubs driven by local actors in their communities, cities and countries. 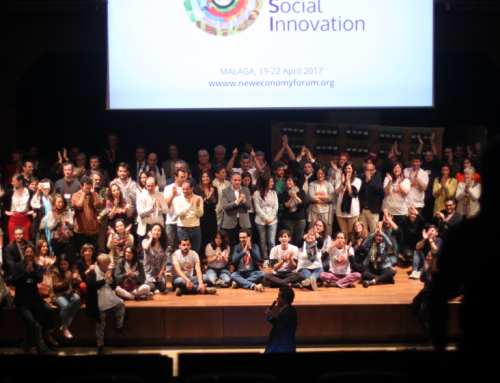 Gather the movement in Malaga in 2019 at the bi-annual New Economy and Social Innovation forum (NESI) to launch the Global New Economy Movement. Work with marketing experts, story tellers, and communities to distil elements of and appropriate framing for a new narrative. Creatively and proactively disseminate the new narrative to key audiences in order to bring the co-creation of a new economy into the mainstream. Create and share playbooks (guides) that explain how relevant actors can advance the creation of a wellbeing economy. Synthesise various academic and grey literature that informs new economy analysis and propositions and communicate and champion this material. Convene the governments of countries and regions where policy decisions are being made for wellbeing, in all its dimensions. Both WEAll and NESI are housed in the Spanish NGO, the Global Hub for the Common Good. 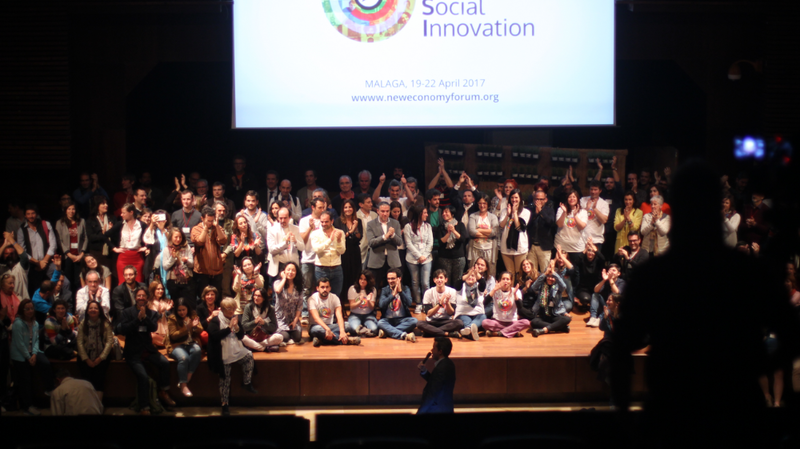 Global Hub for the Common Good is the promoter of the Global Forum NESI “New Economy and Social Innovation”, the first international forum that brought together the main representatives of the new economy models in April 2017 in Málaga (Spain). 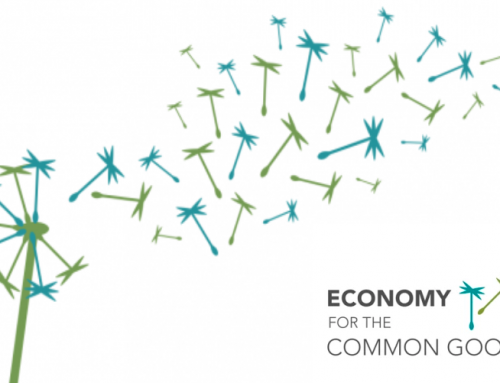 Here the”NESI Charter” was launched a collaborative manifesto co-created by more than 1.000 people around the world that lays the foundation for a new democratic economy. 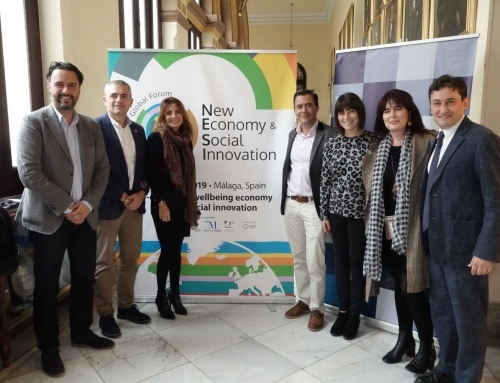 During 2017, NESI joined forces with ASAP (Alliance for Sustainability and Prosperity) and L4WB (Leading for Wellbeing) to create the Wellbeing Economies Alliance (WEALL), a global new economy movement aimed at co-creating a new system at the service of people and the planet. A creative and dynamic communications professional who will support in the development and implementation of a 2018/2019 communications plan for WEAll. The successful candidate will manage the production and delivery of all events to the highest standard. They will be a self-motivated media expert (across all channels) who will help raise the WEAll profile and those of our partners. Lead on the creation, communication and implementation of effective and up-to-date communications plans for activities across campaigns, programme and influencing work. Delivery of WEAll media and communications output. Work with the Narrative WEAll Group and transform that narrative into communications strategy and action plan. Proactively build the audience for WEAll’s communications across all channels. Project-manage, with input from others, development and production of videos, audio materials and photography, including compliance with participants’ informed consent requirements. Develop and keeping up to date the WEAll website. Achieve excellent media coverage for WEAll by generating, developing, securing sign off and placing high quality news and feature stories – including by drafting op-eds, quotes, press releases and media briefs. Lead the delivery of media and communications work for programmes, as needed. Strategically use the media and supporter communication channels to influence political change, working closely with campaign and influencing colleagues and using agreed messaging. Identify, develop, co-ordinate and maintain strategic relationships with relevant media whilst effectively filtering and responding to media requests. Provide media preparation support for amplification team as necessary. Develop community management action plan. 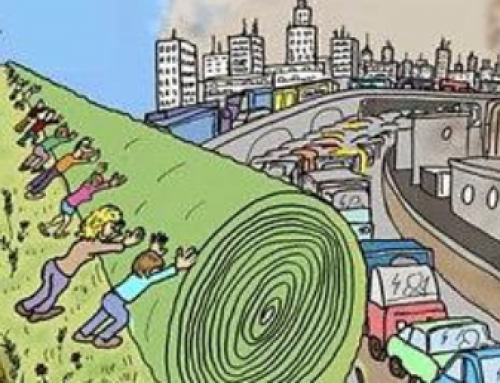 Proactively develop campaigns and messages to create a Global Wellbeing Economy Citizens movement. Ad-hoc support for partners communications efforts as appropriate. Prepare the strategy and all the communications tools for promoting and communicating both the NESI Global Forum (to take place in the city of Málaga, Spain) and others NESI Local Forums in different countries around the world. Organise, promote and communicate other events about different topics. Organise internal meetings of WEAll. Develop image, brochures and other materials necessaries for the NESI Forums and events. Develop group of receptive mainstream journalists. We are looking for an enthusiastic, proactive and positive entrepreneur interested in being part of a new and more sustainable economy. The is a position for which we seek a professional with at least five years experience and knowledge in communications, media and events who has the desire to learn and specialize in the field of wellbeing economies. Five years of professional experience in communications, media relations and/or journalism. Degree in communications related field . Experience devising digital communications strategies, managing web developers and content managers, creating/monitoring digital dashboards and analytics, and managing social media platforms (e.g., Twitter, Facebook, YouTube) in a professional capacity. Excellent writing, editing and copywriting skills and demonstrable expertise writing and editing policy or advocacy-related text, both short- and long-form. Ability to work on their own initiative as well as part of a global team. Available to travel and work with colleagues and stakeholders in different time zones. Ability to operate in a challenging, fast paced environment, juggling competing demands. Knowledge about new economy movements. Working experience in NGOs and/or think tanks. Experience in building a movement. An understanding of gender and diversity. Experience with online data visualization. Join an organization in expansion and a motivated team working together for a better world. An international work environment and contact with professionals worldwide recognized as experts in the field of new economies. A challenging, creative and fulfilling job. Continuous learning and alignment of personal and professional motivations. Please before 8th March 2018, midday Central European Time. Why you are applying for this job as well as a summary of your experience and knowledge related to this vacancy. Two professional Referees (name, organization, email and telephone). Referees will only be contacted prior to a job offer. Short-listed applicants will be invited for a practical exercise and then for an interview. If necessary, applicants might be invited to a second interview. Given the number of applications we receive, we are sorry to say that applicants not short-listed for interview will not receive a reply. Let the Economy reward those who do good!